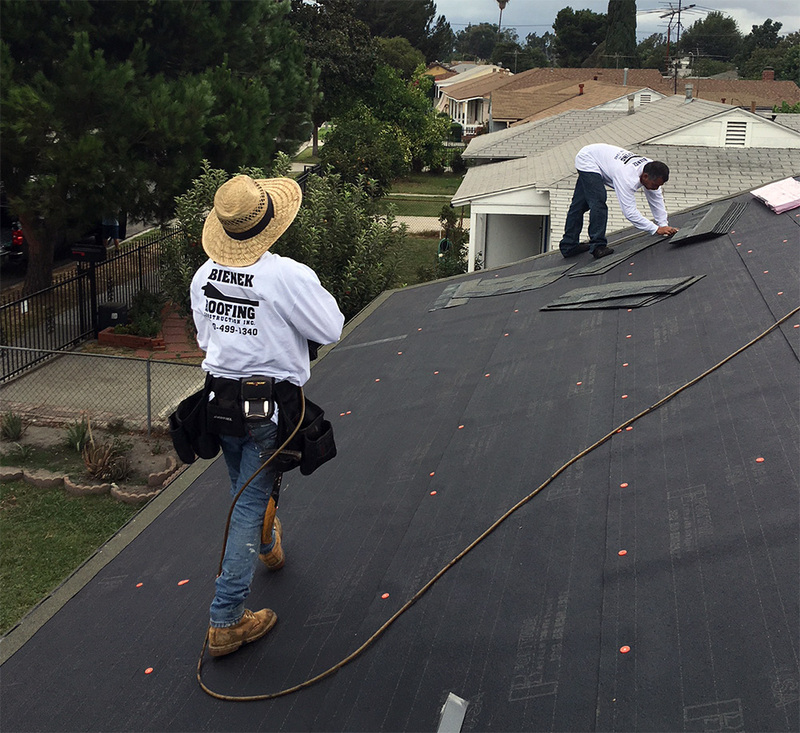 Is it about time to replace that old, leaky roof? How about a trendy outdoor living space or completely new addition to your home? If you’ve got a project in the making, big or small, Bienek Roofing Construction Inc. stands primed and ready to assist. From “handyman” services like gutter cleaning and siding repair to major services like structural add-ons or new roofing systems, “Team Bienek” has the training, expertise and experience to make your next important project a successful reality. Spanning our 25+ year history, we’ve completed over 20,000 projects – commercial, industrial and residential alike. That’s why clients, vendors, property managers and even other contractors often recommend Team Bienek to their friends and associates. Questions? Comments? A professional and knowledgeable Bienek Team Member is just a quick call or click away.